Last summer of 2018, we qualified 20 teachers for their second year teaching, enable more than 500 children to continues exploring their creativity and innovation abilities. We have also qualified 7 Master Teachers, that will enable to qualify hundreds of teachers in the Czech Republic every year. Which means that more than 2500 children in the Czech Republic will learn the Stages methodology all over the country. Having so many children participating in our program makes us one of the most dominant and influencing organizations in the Czech Republic! 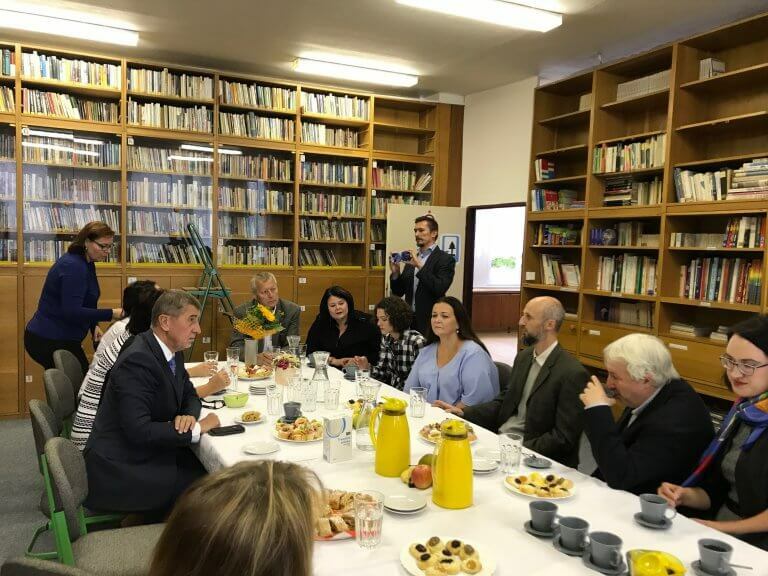 We had the privilege to have our Prime Minister Mr. Andrej Babiš, visiting one of our schools in Ústí nad Labem, Molekula school, being impressed by the enthusiasm of our teachers Mrs. Ivana Kopřivoví and Mrs. Hana Kořenská (with her class from ZŠ E.Krásnohorské) and their excited students. Prime Minister fully participated with the students, playing musical instruments, drawing and playing Stages game like every student in the class, he was smiling all the time. We also accepted the invitation of Mr. Plaga, the minister of education, and visited him and his team who were amazed by our results and decided warmly to support the STAGES. We were also on the economic newspaper Hospodářské Noviny this month. Please press here to read about our activities. In December 5th, 2018, we will have an event with two of our Master Teachers, Mr. Martin Lana, and Mrs. Zuzana Hladikova, who will give a lecture and workshop for potential teachers in Liberec. If you are planning to implement Stages methodology in your school this year, please contact our project manager, Mrs. Hana Shatner, hana@stages.global, to get a reservation. As this event is dedicated to Liberec teachers only relevant reservations will be accepted. In the following month, we will open a new Stages class for teachers in Chomutov starting in December 2018. It will contain 80 academic hours divided between one week of an intensive seminar and 6 one-day meetings over the year. The course if limited only for Czech teachers in the public sector. If you are a principal or a teacher who would like to implement Stages methodology, please contact our project manager Mr. Hana Shatner, hana@stages.global. There are few limited places for this course. As a nonprofit organization, we are always looking for a financial help. If you are a company CSR representative or you have connections to a company that has the deep understanding the importance of education for creativity and innovation, and by that preparing the young generation for the working world, please contact our organization Chairman, Mrs. Maya Liberman maya@stages.global.